Longtime clients JJD Tax Center of Peabody required a bilingual advertising campaign to welcome all members of the local community. Setting up business in an area with a large Brazilian population, it was important to recognize both their English and Portuguese speaking clients . 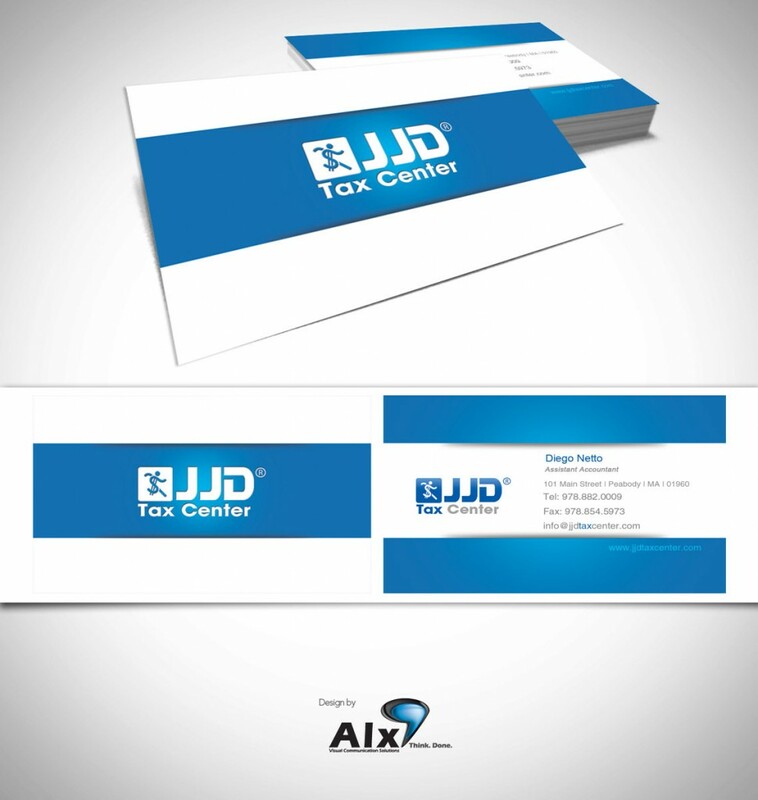 ALX has been retained by JJD Tax Center since they first opened their doors. 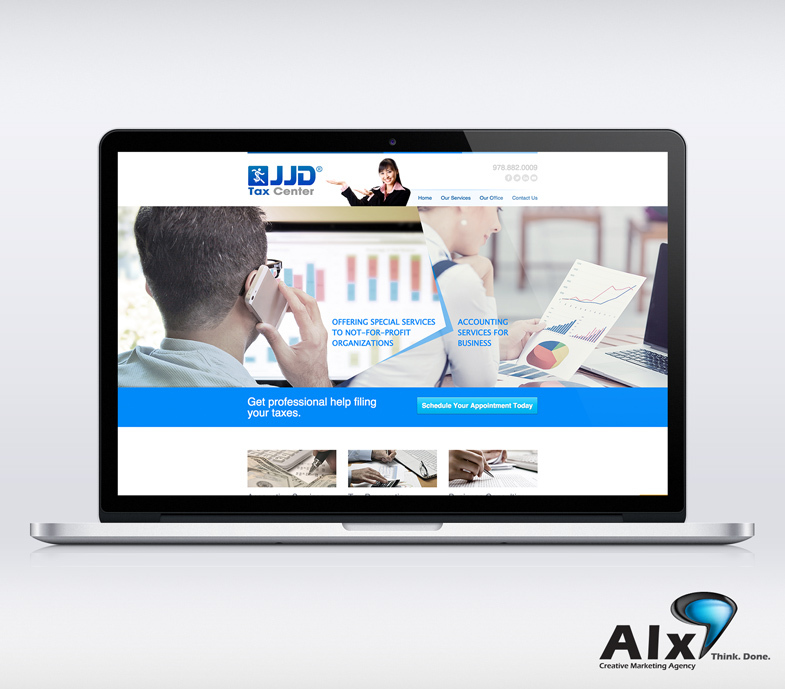 ALX has provided a wide range of advertising and marketing services to JJD Tax Center, resulting in an increase of customers and an expansion of the business over the years. 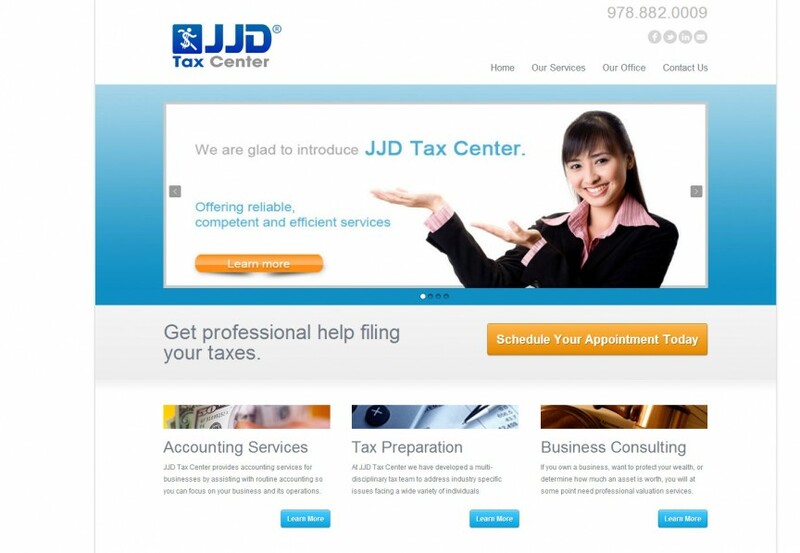 The original JJD Tax Center website was re-built in WordPress for easier administration of content. Employees of JJD were trained on how to use the CMS and can freely update their promotional banners and services pages. Along with the website and hosting plan, JJD received custom e-mail addresses for their employees. JJD required a new logo and branding to increase their professionalism and public appeal. ALX designed a new logo for JJD, to be used throughout all future advertising products. The new logo was created with consideration towards their target customer base of small business owners and heads of households, and anyone who takes their financial planning seriously. Custom, professional business cards were designed and printed for JJD on high-quality glossy stock paper for a durable, sleek finish. Each employee of JJD received a personal card with their name, email address, and phone extension. The design of the business card reflected the new branding for the business, utilized across all of their advertising and marketing campaigns. 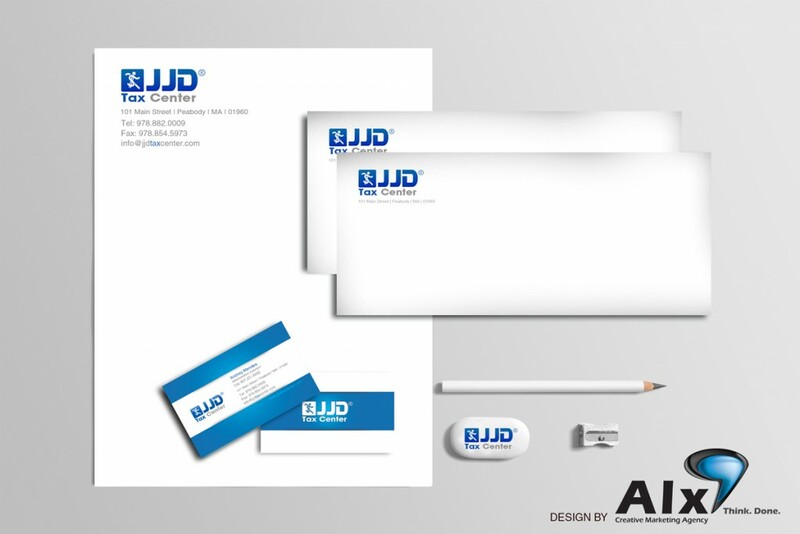 JJD’s new logo and branding was printed on custom letter heads and envelopes. This professional detail denotes a high level of attention and sincerity in all aspects of JJD’s business. In order to better break down the numerous and something complex services that JJD Tax Center offers, an informational flyer was designed and printed by ALX to be used as a helpful handout to customers wishing to be better informed about financial planning. Employees of JJD received a custom t-shirt with the company logo and branding, as a gift and symbol of community from their employer.